ATG’s selection of highlights sold at auction in the last week include a stunning Giuliano bracelet, a picture postcard showing Manchester United’s original ground and rare posters from a music festival in Bath. 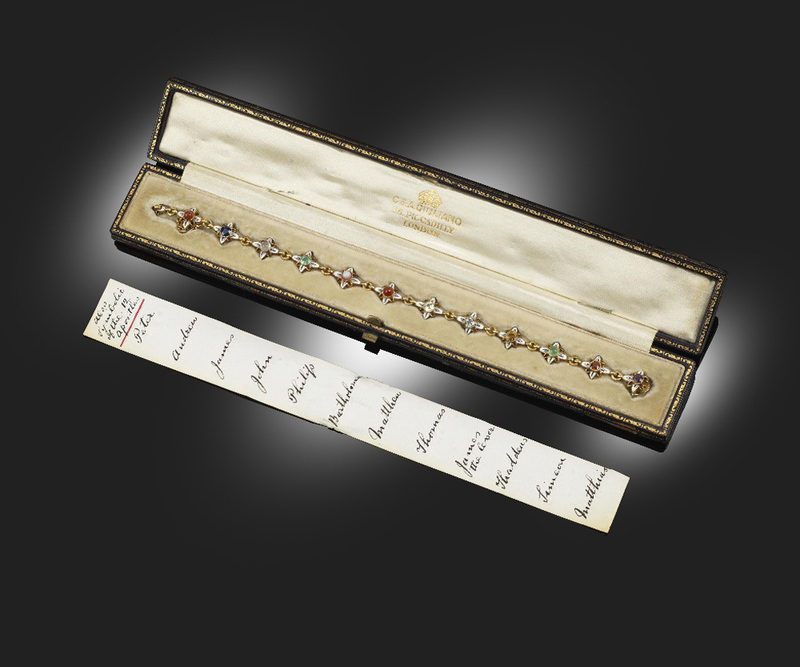 A bracelet by Giuliano, c.1896, with 12 different genstones – £16,000 at Woolley & Wallis. In the building of Paradise in the Book of Revelations, 12 gemstones representing the Apostles are each awarded a virtue: jasper, firmness and constancy; sapphire, heavenly and beautiful thoughts; chalcedony, ardent zeal; emerald, suavity of manner; sardonyx, variety of teaching; sard, readiness for martyrdom; chrysolite, restrained by no obstacles; beryl, goodness of mind at all times; jacinth, calmness in all things and Amethyst, sobriety and temperance. The coloured stone and enamel gold bracelet by Giuliano, c.1896, pictured above, uses the 12 stones. Accompanied by original purchase receipt from S.J. Phillips dated 30th August 1994, it sold via thesaleroom.com for £16,000 at Woolley & Wallis in Salisbury on October 31. It was part of the Shannon collection of more than 350 pieces of late 19th and early 20th century jewellery. A photographic postcard showing an FA Cup tie played at the Bank Street stadium in Clayton during 1906-07 season – £850 at Toovey’s in Washington, West Sussex. 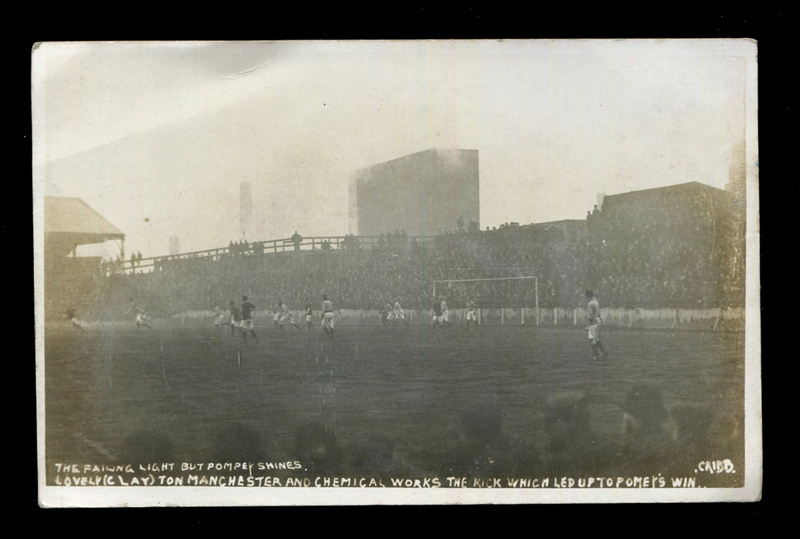 This rare photographic postcard, published by Cribb, depicts a football match in progress titled 'The Failing Light but Pompey Shines, Lovely (Clay)ton Manchester and Chemical Works the Kick which led up to Pompey's Win’. At Toovey’s in Washington, West Sussex on October 30 it sold via thesaleroom.com at a surprise £850 (estimate £30-50). The caption probably references the FA Cup tie in the 1906-07 season when (after a 2-2 draw at Fratton Park) Portsmouth recorded a famous 2-1 win against Manchester United at the Bank Street stadium in Clayton. The grainy photo is a rare view of a 50,000-capacity stadium that was home to Manchester United and their precursor club Newton Heath until demolition and a move to Old Trafford in 1910. There was more MUFC-related memorabilia at Stacey’s of Rayleigh, Essex on October 29. The 1977 Manchester United FA Cup final winners medal awarded to Sammy McIlroy (b.1954) sold at £19,500. In the game United famously beat rivals Liverpool 2-1, spoiling their chance of the treble. McIlroy, who had been Matt Busby’s final signing to the club in 1969, was the vendor. 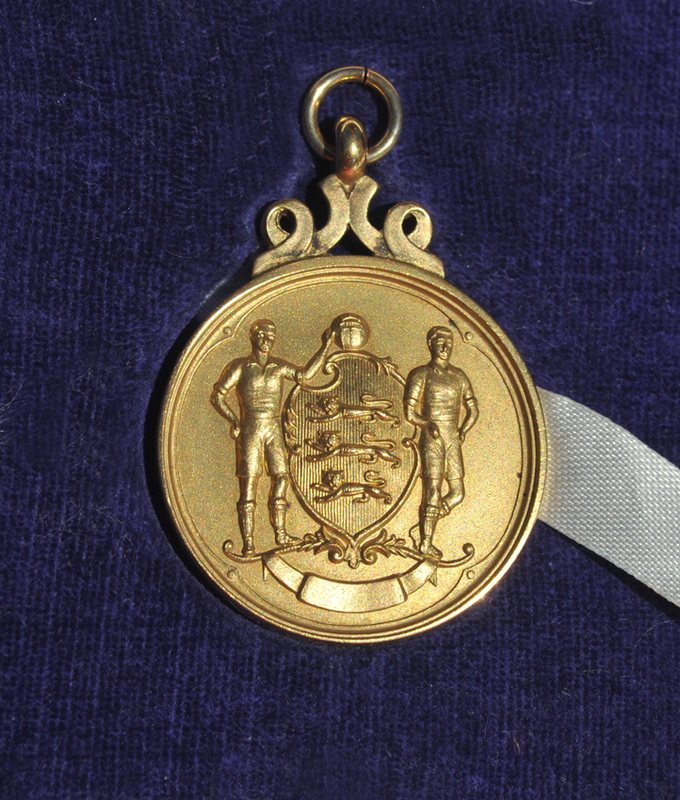 The 1977 FA Cup final winners medal awarded to Sammy McIlroy of Manchester United – £19,500 at Stacey’s of Rayleigh, Essex. 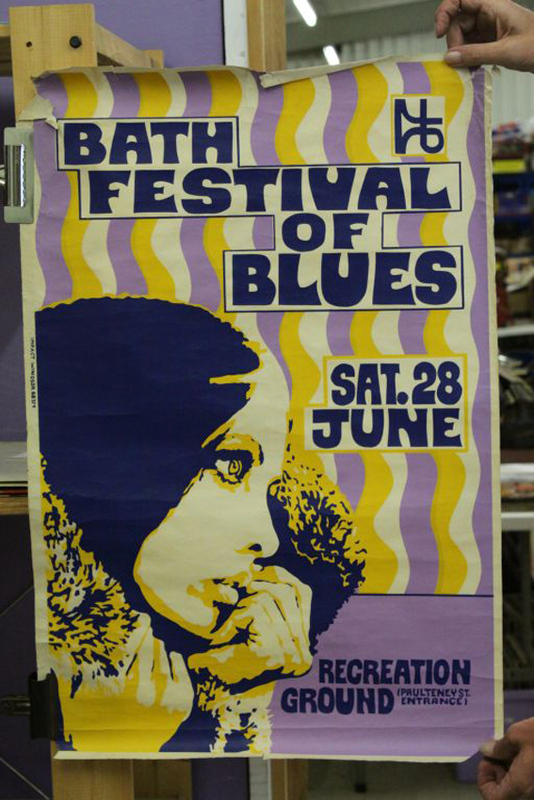 The Bath Festival of Blues and Progressive Music was a counterculture era music festival held at the Royal Bath and West Showground in Shepton Mallet, Somerset, England on June 27-29, 1970. Pink Floyd, Jefferson Airplane and Led Zeppelin were among the performers. This rare poster from the event was offered by Wessex Auction Rooms in Chippenham on October 26 where it sold thesaleroom.com at £2300 (estimate £100-150). Bath was the brainchild of promoter Freddy Bannister and his wife Wendy Bannister, who had held the smaller Bath Festival of Blues at the Recreation Ground in Bath itself on June 28, 1969. 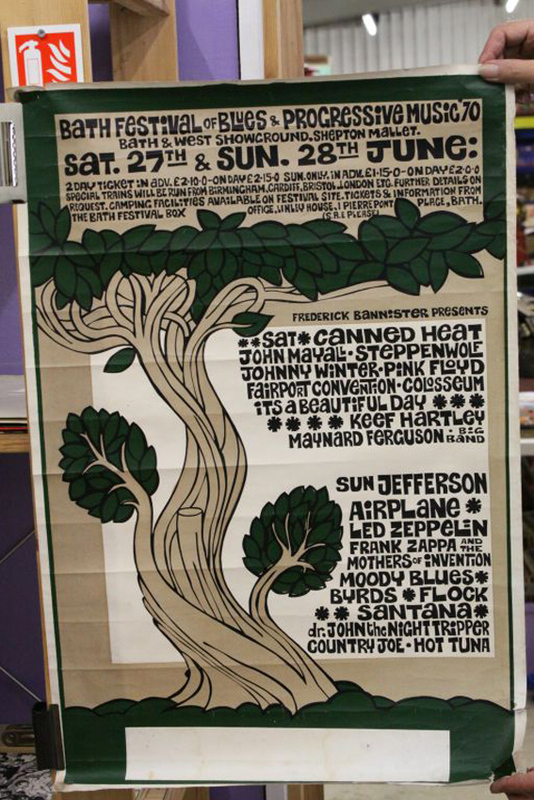 A similar poster for that event, that included Fleetwood Mac, Led Zeppelin and John Mayell’s Bluesbreakers, took £1500 (estimate £50-70). 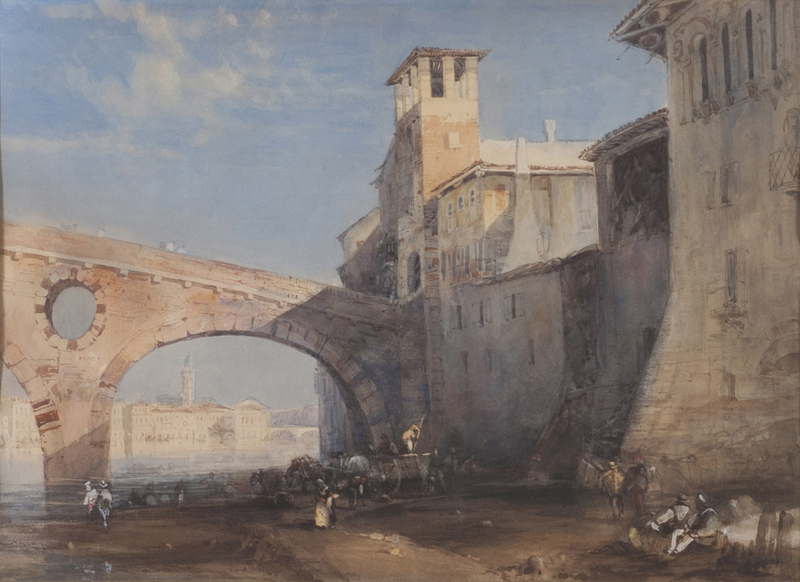 A watercolour depicting Verona by Richard Parkes Bonington – €8500 at Babuino Casa d’asti in Rome. An unexpected but welcome visitor to the sale held by Babuino Casa d’asti in Rome on October 23 was this watercolour on paper titled Verona with a view of the Adige by Richard Parkes Bonington (1802-1828). The celebrated Romantic artist visited northern Italy in 1826, staying in Venice for a month, which is when this 13 x 19in (34 x 46cm) scene was painted. By 1828 his tuberculosis had worsened: despite his return to London for treatment he died on 23 September 1828 aged just 25. It sold via thesaleroom.com at €8500 (estimate €400-500). 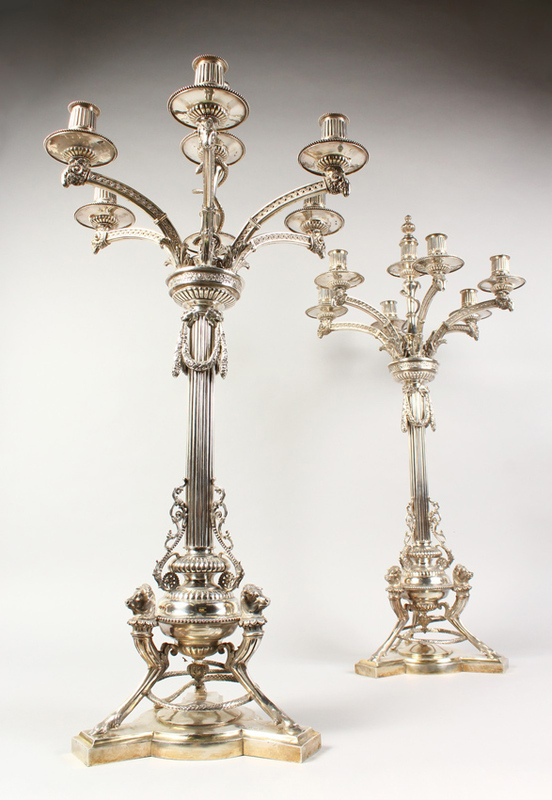 This fine pair of Victorian silver six-branch candelabra weighing 272oz and standing 2ft 7in (93cm) high sold via thesaleroom.com for £13,000 at John Nicholson in Haslemere, Surrey on October 15. 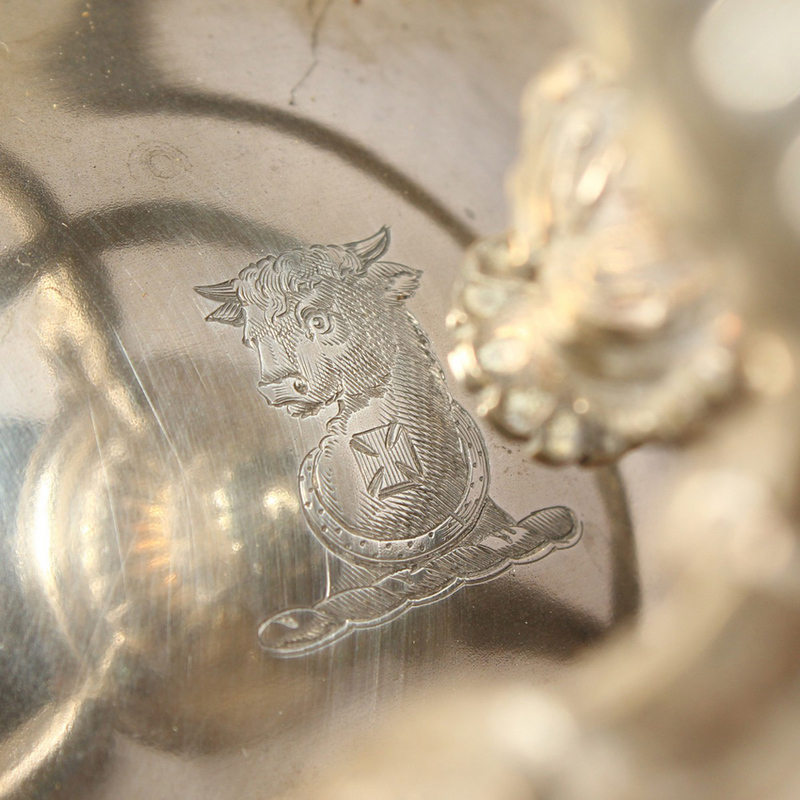 Each carry the maker’s mark of Stephen Smith (London 1879) with the crest of a bull’s head and Maltese cross suggesting the pair had once belonged to a Maltese family.